Singapore – OneAgrix, a tech startup Halal business to business marketplace, has officially signed a landmark integration deal with Escrow.com. The move will enable OneAgrix to empower business connections providing frictionless global trade while improving links between platform users. OneAgrix’s partnership with Escrow.com takes the start-up into a new realm as a trusted B2B online marketplace despite launching in 2018. The integration with Escrow.com will make cross-border B2B transactions quicker and safer than ever before. OneAgrix will now be able to offer large value transactions for businesses of all sizes. OneAgrix is the first online Halal B2B global marketplace to offer an all-in-one platform that allows businesses the options to source, pay, and ship. Escrow.com has safely processed over $3.5 billion in sales. The company’s reputation as a safe and secure payment source gives OneAgrix a major boast as it continues to grow. The transaction services provided by Escrow.com will protect businesses buying and selling through the OneAgrix platform. Escrow.com users have completed secure payments for cars, boats, aeroplanes, domains, and other valuable assets since its creation in 1999. For nearly two decades it has been the go-to secure escrow service for all major financial transactions around the globe. Escrow.com also prevents businesses from being defrauded by unknown parties as they complete transactions. Buyers and suppliers can now complete large financial transactions via the OneAgrix marketplace knowing their money is safe courtesy of Escrow.com. The financial website is licensed and regulated, complying with escrow law. Escrow.com provides a safe way to do business and gives Halal businesses even more reason to use OneAgrix to connect with other companies. “Entering an integration deal with Escrow.com and adopting its fully featured Escrow Platform API, changes the game for us. The online escrow service ’s reputation lends prestige to those who work with it. Now, the buyers and suppliers who use our platform can work together without worry.” Diana Sabrain, OneAgrix co-founder, said. Buyers and suppliers can look forward to perform ‘save transactions’ via the full escrow integration on the OneAgrix platform in January 2019, next month. 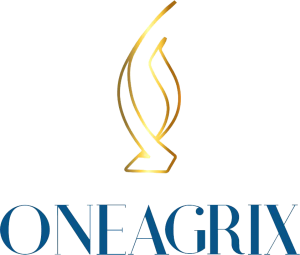 For more information on OneAgrix and the service it provides, please visit www.OneAgrix.com. OneAgrix is a tech startup, global online marketplace that helps Halalcentric businesses find the right Halal certified and Tayyib food, agricultural, and nutraceutical products, suppliers, and quotes all in one place. OneAgrix is passionate about using technology to make Halalcentric business owners’ lives easier. OneAgrix is a secure platform for managing Halal business purchases and supplier relationships.